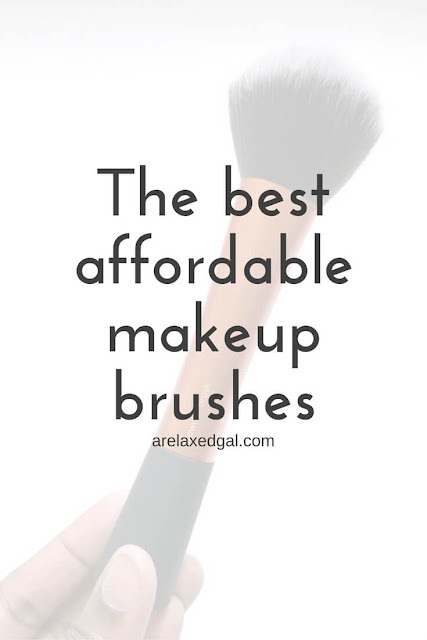 I used to think that to get a good makeup brush you had to go to beauty stores like Ulta or Sephora and spend $20 or more before tax on a brush. This didn't work with my budget so I used to keep brushes for years and just wash them frequently, but when a brush gets old it's not as effective. Nor is it good for your skin. I realized that a little while ago when I really looked and saw the sorry state my foundation brush was in. Some of the inside bristles were warped and wouldn't lay flat anymore no matter what I did. This shouldn't have been a surprise because the brush was over seven years old. It was time to replace it. I didn't want to spend a lot of money on the brush so I started looking at my local drug and big box stores. I first tried a couple of Elf brushes and they weren't any good. One brush broke and the bristles on both had an odd smell that wouldn't go away. Next, I tried EcoTools. I decided to try them since I follow EcoTools on social media and had seen their brushes in the store. EcoTools is an eco-conscience brand that makes their brushes from natural materials like bamboo for the handles and cruelty-free bristles. So far I've used four out of the five brushes - foundation, powder/blush, shadow and flat eyeliner brushes. I don't wear lipstick much at all so I haven't used the lip brush. While the EcoTools Lovely Looks brushes are a favorite of mine, I still wanted a foundation brush that had a longer handle and could be used to apply my loose powder foundation. I considered getting another EcoTools brush but was curious about another brand I saw had a coupon on Ibotta app. The brand was Real Techniques. 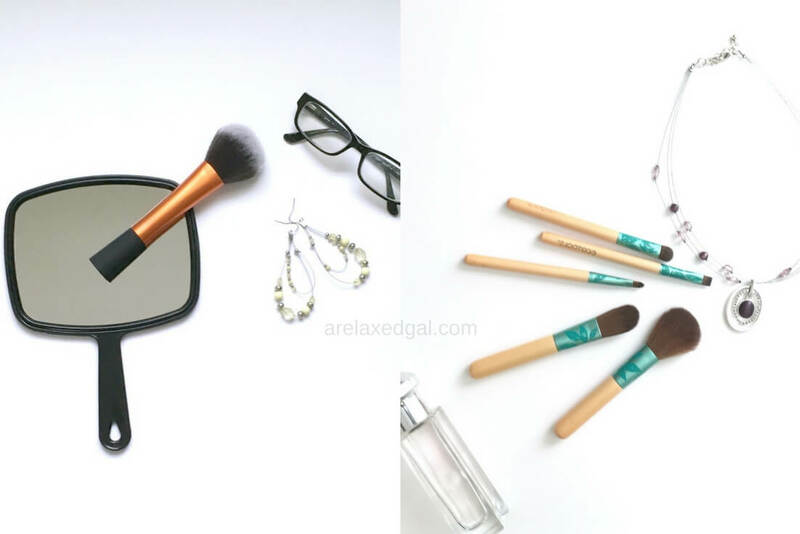 I'd never heard of them before but have found that several beauty bloggers have or do use the brushes. After spending several minutes in the beauty aisle at Walmart looking at the many brush options, the Real Techniques brush I decided to buy was the powder brush. Mostly because it says it "can evenly apply powders and mineral foundations to provide smooth, high-definition results." The brush was about $10 before tax and I saved $2 with the Ibotta app coupon. Before using the Real Techniques Powder Brush I washed the bristles with a gentle shampoo (I do this for all my brushes) and let the brush air dry. Since then I've been using the brush during my morning foundation application.